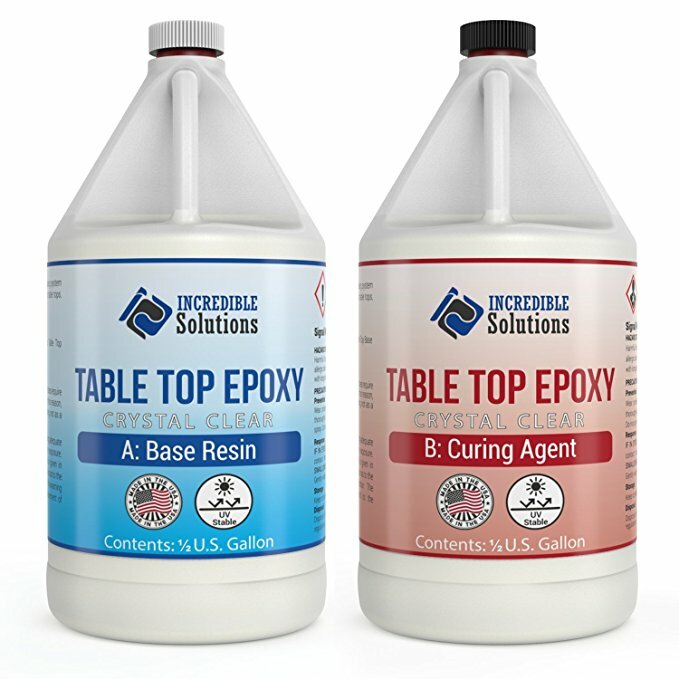 Category Archives for "Epoxy Reviews"
Incredible Solutions offers a UV Stable crystal clear table top epoxy resin. A UV Stable formula helps to prevent yellowing over time. This is super important for those that will be exposing their finished product to UV Rays. However, it is not recommended that finished products are kept outdoors. This goes for all clear epoxy as it is susceptible to yellowing if overly exposed to UV Rays. 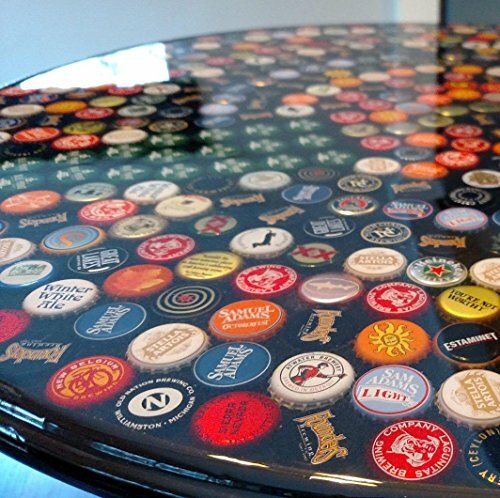 That said, some are better than other, which is where this table top application shines. Because Incredible Solutions is self leveling, this kit is super easy to use. The mixture ratio is 1:1. In other words 1 part Side A and 1 part Side B. Side A is the base resin and Side B is the curing agent. Simply mix the two part in equal amounts and its ready to pour. Mixing the two parts thoroughly is vital in proper application. A 1 gallon kit can cover 12 square feet when applying at 1/8" thick or 24 square feet at 1/16" thick. Both parts and the completed mixed are 100% solids which allows for low odor. Therefore, this can be applied indoors so long as good ventilation is provided. Once mixed and poured, the epoxy is quick curing. It is important to have your project properly prepped so that the mixture can self level and evenly distribute across a surface. As previously mentioned, the mixture is UV Stable which many other epoxies cannot offer. Additionally, the self leveling mixture provides superior air release which aides in preventing bubbles, cracks, cratering, fish eyes and many other common problems across other brands. 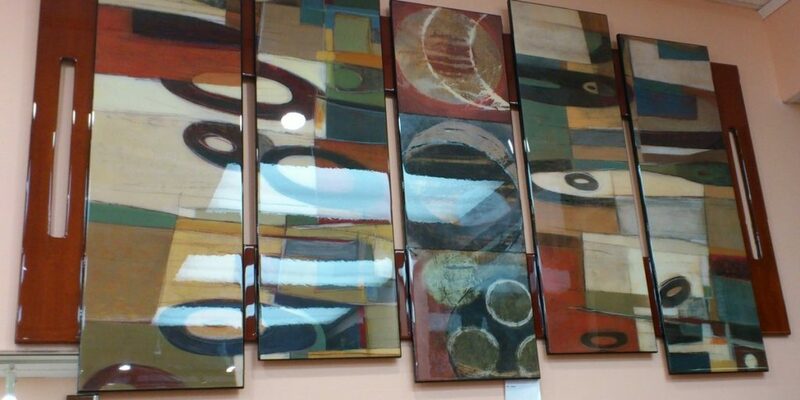 Incredible Solutions is the perfect solution for table tops, wooden bars, embedding pictures, or even concrete. This, along with the fact that Incredible Solutions is made right here in the USA, makes this one of our top picks. 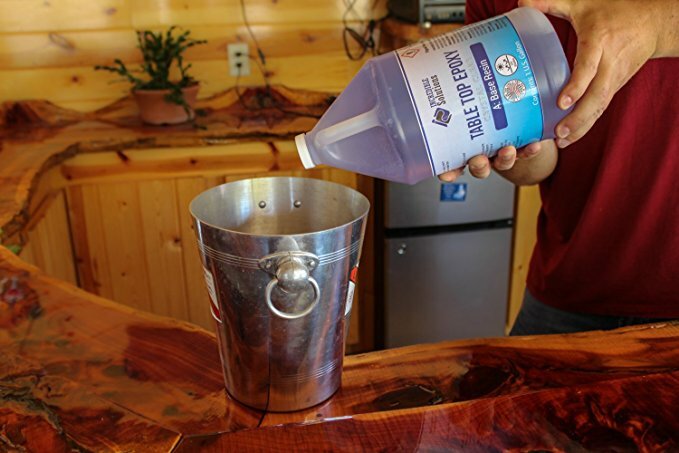 One of the most popular ways of protecting wood and creating beautiful bar tops and tables is to use epoxy. It can also be used on a variety of other projects and in situations where you may want to seal unique treasures into those table tops. However, not all epoxy products are created equal. Most people want quick drying and easy to use brands. One of the most popular brands according to many people is East Coast Resin. To find out why they love it; read through our East Coast Resin review. You should always mix one part resin to one part hardener. Mix it thoroughly to ensure that it will set properly. As a general rule, you will have about 30 minutes of time to work the epoxy once you have spread it out. This does depend on the amount that you are working with. This epoxy is completely odorless. You will not have to worry about smelling a strong chemical while you are working with it or waiting for it to dry. It goes on clear and stays that way throughout drying. Once dry, you will find that you have a super glossy finish that is durable. 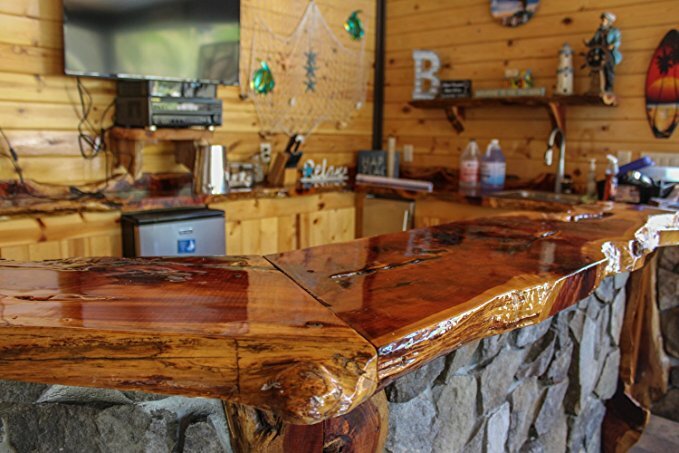 It is both water and scratch resistant so that you can use your table or bar without worry that you will damage the finished product. This ensures that it is very easy to care for once your project is finished. With your purchase, you will get one gallon to work with. If you do not need all of it at one time, you will need to measure it out so that you are using one part of each. In large areas, you may choose to mix each full half gallon at one time. However, you will still have to work with it in the 30-35-minute time frame before it begins to solidify. One gallon mixed will give you an area of coverage that is approximately 25 square feet. If you want a thick layer, you may need to purchase another gallon kit to get it thickened. For a 25sq ft. area you can expect it to be less than 1/4-inch deep in epoxy. If you choose to apply thin layers of East Coast Resin and build up the epoxy slowly; you do not have to sand it between layers. You simply need to let the coats dry thoroughly and then apply your next coat. It will not become cloudy if you opt to apply it in layers and layers are recommended on surfaces that you want to be more than a 1/2 inch thick. This epoxy can be used as an adhesive. This means you can attach rocks to a waterfall using it or shells to a mirror if you want to. Just make sure that you are working with it when the temperature is between 70-80 degrees to prevent it from setting too quickly. Then allow it to dry for between 16-24 hours before messing with it again. 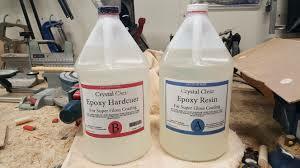 If you want to mix sand or sawdust into your epoxy, you can do that with East Coast Resin. Simply mix the resin and hardener together and then add your dry stuff to it. Mix it quickly and then pour it on your surface area immediately. Keep in mind that the dry stuff will settle to the bottom. Is East Coast Resin Easy to Use? 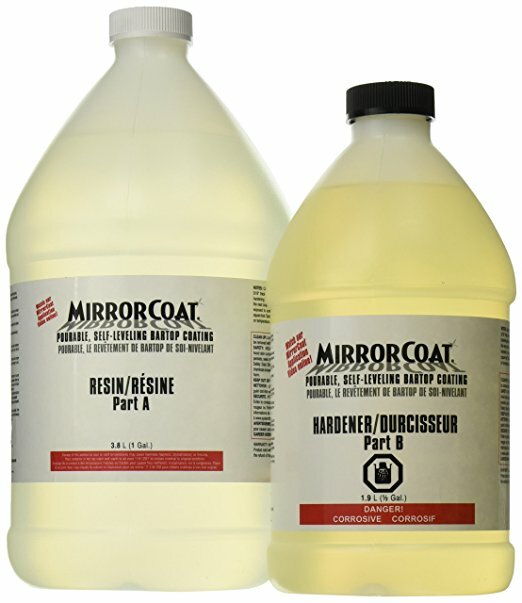 This resin and hardener is very easy to work with, as long as you follow the manufacturer’s instructions. When mixing a large amount, you will want to ensure that you have a large container. Once the mixture begins building up heat, it is starting to set. You need to be ready to work quickly once you start mixing. Mix thoroughly for a couple minutes and then pour or spread it out. If the mixture sets too hard, it will become impossible to work with. You cannot spray this mixture onto any surface. It becomes a very thick, glue-like texture that will not spray. In situations where you may want to spray it on, it will be best to use a roller. There is no way for you to thin it out without lessening its ability to set. If there ever comes a time when it does not set properly; it could be because you did not mix it properly or you scraped the sides of your mixing container. The mixture on the outside edge of a mixing container has most likely already set too firmly to be usable on your surface area. Never scrape the sides, just use the mixture that flows out freely. 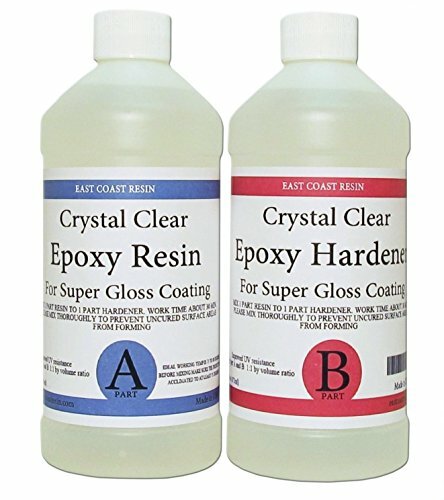 East Coast Resin epoxy can be used as fiberglass for boats. It is safe to use in the marine environment. You simply have to follow the directions that are included with each kit and work when temperatures are cool. Should You Try East Coast Resin? 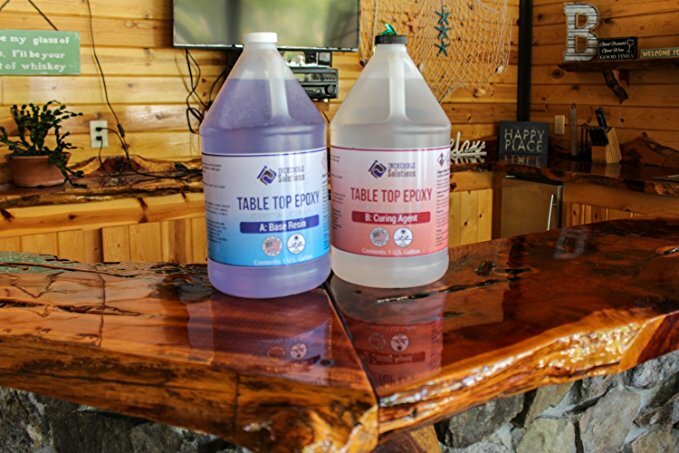 This epoxy brand holds a 4.5-star rating and most all users are happy to purchase and use it again on future projects. Most people have never had an issue with bubbles. However, most all say that it is definitely going to help you achieve success if you take the time to read the directions for use carefully. The Specialty Resin epoxy resin kit enables you to mix only the amount you need. This is to be mixed at a ratio of 1:1 or one part of A and an equal amount of B. 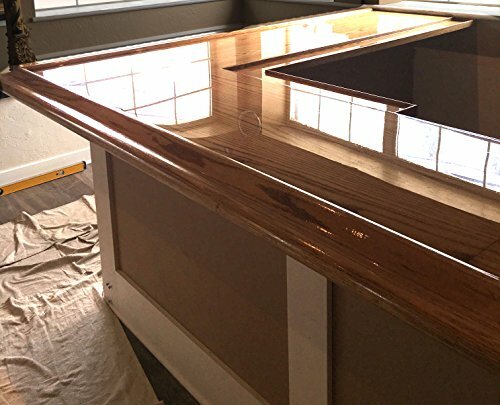 The high gloss coating makes it ideal for bar tops, table tops, counter tops, clear models, jewelry, and anything else you may want to create. 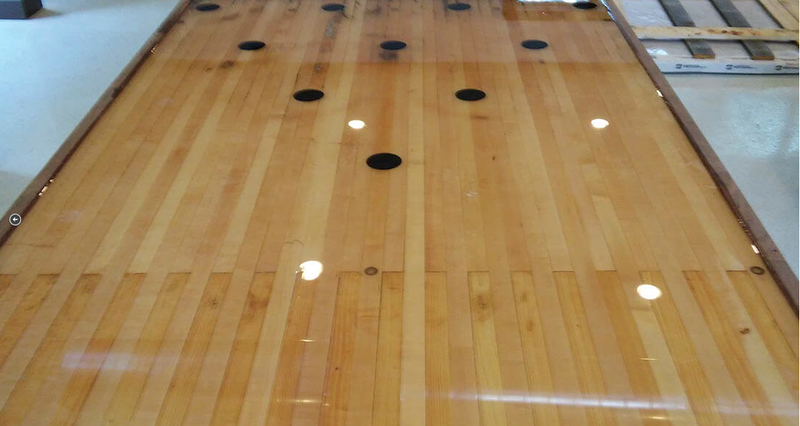 One gallon of epoxy will cover approximately 24 square feet of surface area. At that rate the depth will be 1/16 inches thick. If you need it to go thicker, you can layer it. Each layer will add thickness while maintaining the clarity that you want. Epox-It is UV protected. UV inhibitors added to it to ensure that it does not turn yellow over time. However, the inhibitors cannot protect it if you leave it out in the sun for long periods of time. If you are using it on an outdoor surface, it may yellow throughout the years. 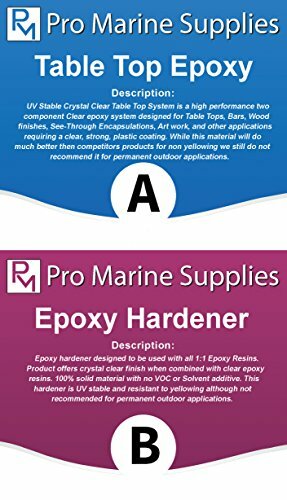 This is not much different than all other epoxy brands, but should be noted. 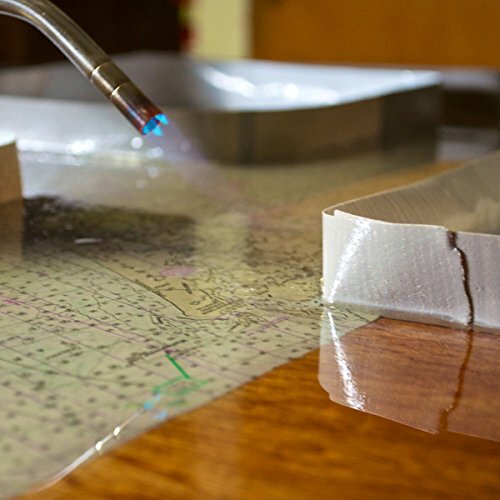 Within only 6-8 hours you can add another layer of epoxy to your project. When you are finished with all layers, the tackiness should be gone within 24 hours. However, it will take it approximately 3 days to cure completely. Is Epox-It Easy to Use? Simply mix it and pour it on or spread it out. It really is just that easy! It goes on in a liquid form and will self-level out as it sets. On table tops, you should expect it to run off the edges so that if you want it 1/8 inches thick, you will have to apply a second layer. In formed frames, it will become as deep as the form allows it to be. It cannot be sprayed on or applied to vertical surfaces because it will run. The liquid is also too thick for a sprayer. However, it can be used for all crafting projects and even on boats or other marine items because you have the option to spread it out with a foam spatula. Brushing it on is not recommended. Those that have used it say that it does exactly what they had hoped for. Most say that it is easy to work with and puts a mirror shine on their projects. Those who have had reason to contact customer support, say that their questions were answered quickly by knowledgeable staff, who wanted to make sure that they were satisfied. They also love how it is cheaper than other types of epoxy. This is why it has a 5-star rating on the web. 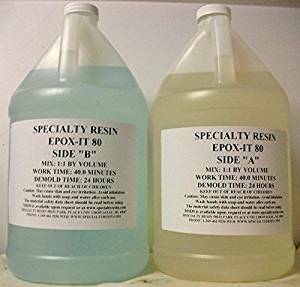 Will Epox-It by Specialty Resin & Chemical Work for Your Project? Specialty Resin does not hold bubbles and it is easy to work with. You simply have to measure and pour. It will take care of the rest. It is relatively mess and hassle free, but provides a shine that can impress even the saviest epoxy user. We like the affordable price and every other aspect of using it. We like that it can seal in all of your treasures whether they are flat and placed on wood or sea shells placed on a plate of glass. 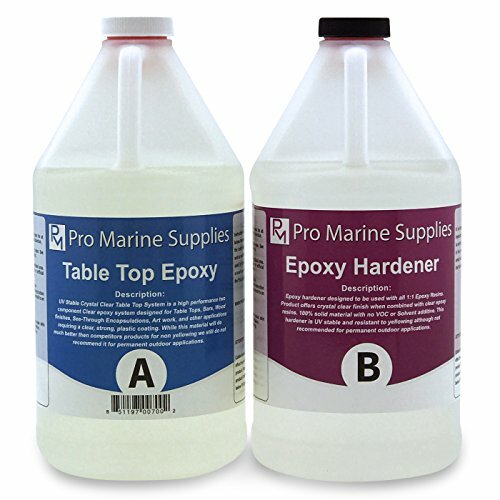 Epoxy has a variety of uses that may people may be unaware of. It can be used in both the marine environment and for household creativity ideas. 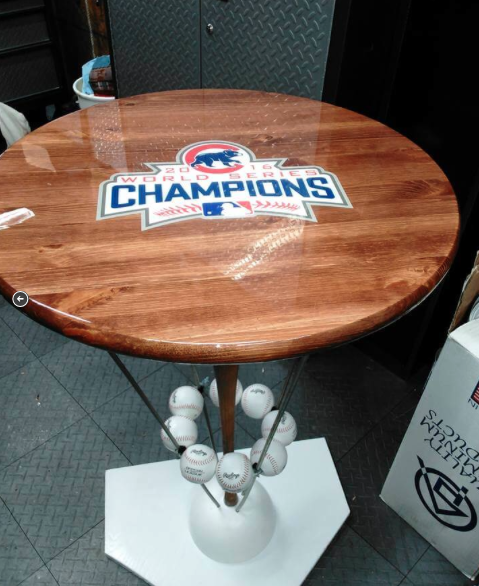 In restaurants, it is typically what protects the table tops and gives them a high shine. 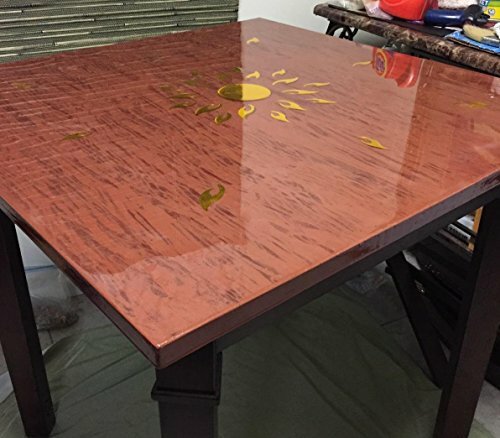 By doing a little research, you can easily find an epoxy to give your table tops, bar tops, and other things a protective layer of gloss that is virtually impenetrable. What will you do with it? This epoxy is able to protect and preserve, as well as beautify all surface areas that you want to apply a glass finish to. It is ideal for decoupage, covering wood surfaces, covering concrete surfaces, and embedding objects to keep them safe. This kit provides you with one quart resin and one quart hardener. This gives you a total of two-quarts if you mix it all at one time. If you need less, you can use less. You simply mix it together in a one to one ratio and start work on your projects. It cures at room temperature and will never blush. You do not need to bring out the small torches or heat sources to work with this epoxy. This makes it very easy to use, even for beginners, but the coating will be beautiful enough for professionals. When dry, it is completely waterproof. It is UV protected, but should not be used on surfaces that will be left outside, because over time it may yellow. Ideally, this epoxy should be used when temperatures are between 70-80 degrees. Once you mix the hardener and resin, you will have approximately 20 minutes of workable time when temperatures are at 70 degrees. Gel time is 30 minutes at 77 degrees. You can apply multiple layers without sacrificing the final look. Each layer will provide a coverage that is 1/8” thick, which is ideal for encasement projects that you want to give a dimensional look. You should wait between 4-8 hours between layers and you will not have to sand it before applying the next layer. Curing time is around 16-20 hours at 70 degrees. If the room temperature is warmer, it may be finished curing faster. This epoxy is USDA approved. This means that it can come into contact with food once cured and you do not have to worry about chemicals that may be in it contaminating your food. In the event that you want to color your epoxy. You can add dye to it to put color in it. This makes it ideal for putting a layer on white wood that needs a hint of color or glass items. Epoxy statues may also benefit from a little color instead of crystal clear. 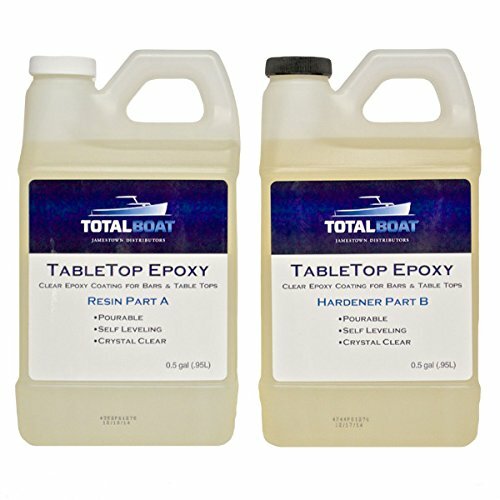 Is TotalBoat Epoxy Resin Easy to Work With? This product has received mixed reviews regarding how easy it is to work with. It holds steady with a 4.3 star rating, but there are some people who say even though the finished product looks great; it takes some effort to get it there. Some find it helpful to use a trowel when spreading the mixture to ensure it levels out quickly enough. 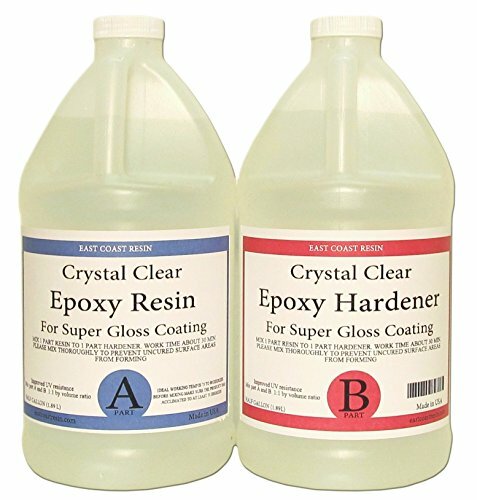 There are a few who claim it has more bubbles than other types of epoxy. This can be remedied by using a heat gun. The good news is; most people say that it is easy to work with. In fact, many have made several purchases for all of their projects and never had any issues. Should You Consider This Mixture? 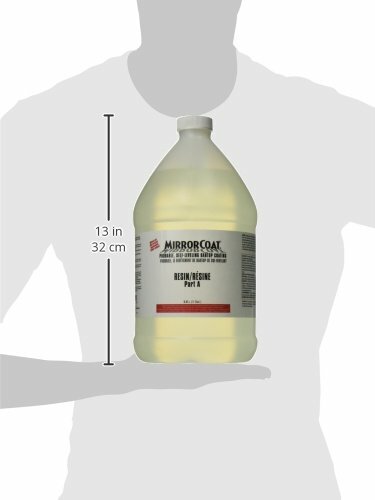 This is a very affordable epoxy and available in a manageable amount. We like that most people say it is easy to use. We do feel that a heat gun, or at the very least a blow dryer, may be a wise choice when using TotalBoat if you want to ensure fewer bubbles. However, bubbles may also be minimalized if you do not mix it for too long. Mix just long enough to ensure it is thoroughly mixed together. We feel that if you want to create a beautiful table, you will love the outcome with this kit. We do recommend that you follow all directions to ensure a total success, but feel that there are enough positive reviews to make it worth consideration. With that being said, you may want to practice with the mixture before you attempt to embed family heirlooms and other special treasures. Practice will ensure that you get the desired effect and do not have to worry about messing up your most important items.